"Daniel Asia has put together a remarkable program, something that is both entertaining and enlightening. We explore issues at the heart of contemporary American Jewish identity and self-understanding. It's a terrific evening!" 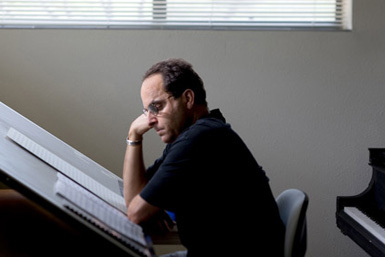 DANIEL ASIA, born in Seattle, WA in 1953, has been the recipient of the most competitive grants and fellowships in music including a Music Academy Award from the American Academy of Arts and Letters, a Meet The Composer/ Reader’s Digest Consortium Commission, United Kingdom Fulbright Arts Award Fellowship, a Guggenheim Fellowship and four NEA Composers Grants. Renowned classical composer Daniel Asia brings you Breath in a Ram’s Horn: The Jewish Spirit in Classical Music, an audience-interactive presentation that delves into the mysteries of Judaism and classical music, their interrelationships, and includes a deep listening of his award winning music.